Hi Xtracycle Gallery, great site, thanks! 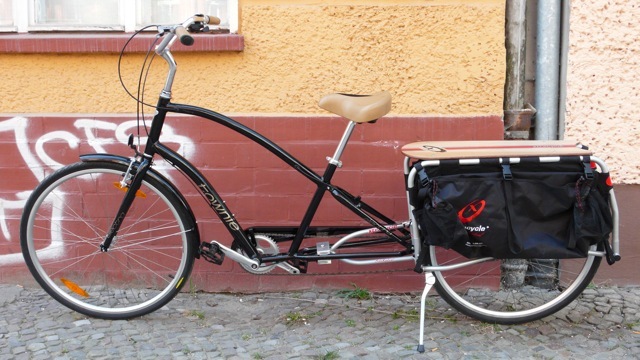 Here's a pic of my Xtracycle, a black Electra Townie. 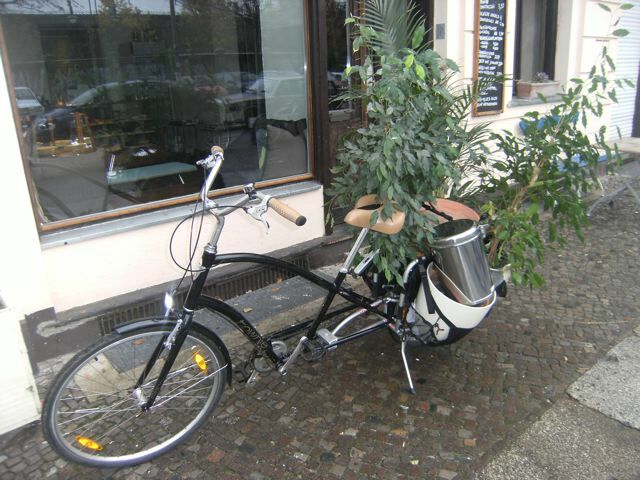 Me and my bike are located in and around Berlin, Germany and attracting some attention. Especially when carrying some load, for instance these three potted plants - my company was moving offices and I wanted to show off my xtra's carrying capacity. It came with a 3-speed internal gear hub, which I traded up into a 8-speed. I did it almost by myself but in the end Maik of www.elpotosports.de had to help out with some tricky bits.